EurOCEAN 2007 (22 June 2007, Aberdeen, United Kingdom) provided a unique opportunity for the European marine and maritime science and technology communities to contribute to the future Integrated Maritime Policy for the European Union as proposed in June 2006 by the European Commission's Green Paper, Towards a Future Maritime Policy for the Union: A European Vision for the Oceans and Seas. 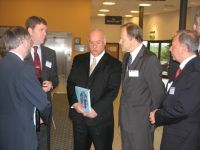 The conference, attended by ca. 200 delegates, represented the culmination of an open consultation process which has seen interested stakeholders across Europe coming together to formulate views on the role of science and technology in achieving the goals of a European Integrated Maritime Policy. 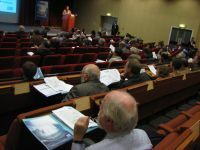 The main output of the EurOCEAN 2007 conference, the Aberdeen Declaration, proposed strategic actions towards the EU Integrated Maritime Policy, in terms of the economic development, environmental management and ocean and coastal governance. The Aberdeen Declaration received endorsement from a multitude of European marine and maritime research organizations, networks and individual scientists from across Europe. 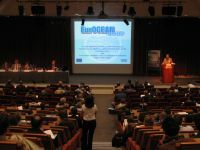 EurOCEAN 2007 was organized by the European Commission in collaboration with the European Marine Board. The conference steering committee was composed of several leading European and regional marine and maritime science and technology consortia, networks and institutions.